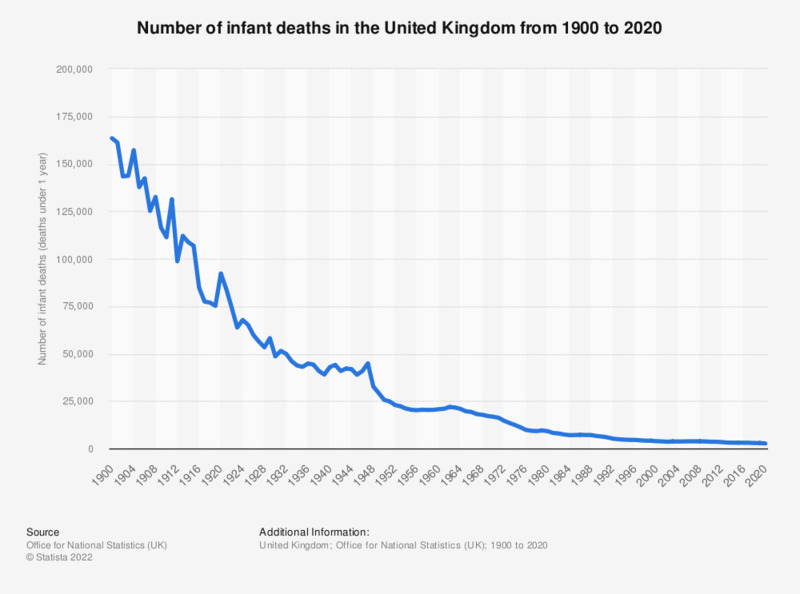 This statistic shows the number of infant deaths in the United Kingdom from 2000 to 2017. Infant death is defined as a death under the age of one. The overall trend was one of decrease, however, after dropping from 2000 to 2002, the figure saw five rises in six years between 2002 and 2008 before decreasing each year considerably to the latest figure for 2017.